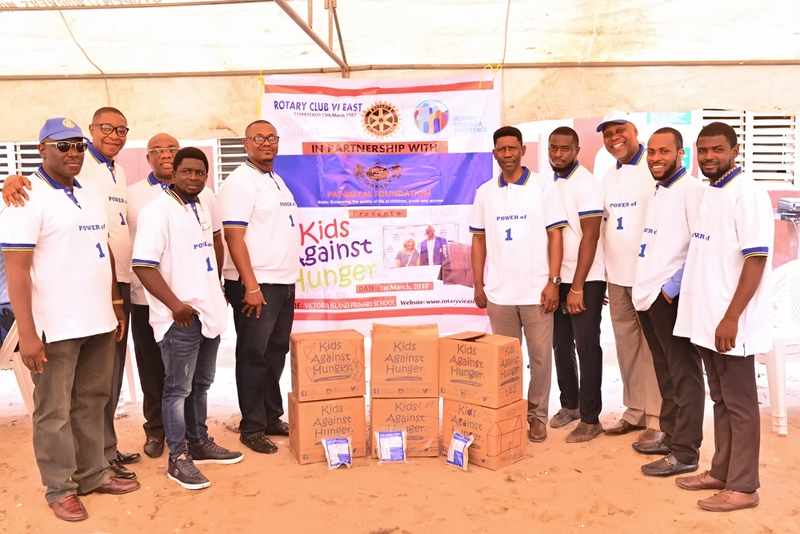 Rotary Club of VI East launches Kids against Hunger programme – Royal Times of Nigeria. 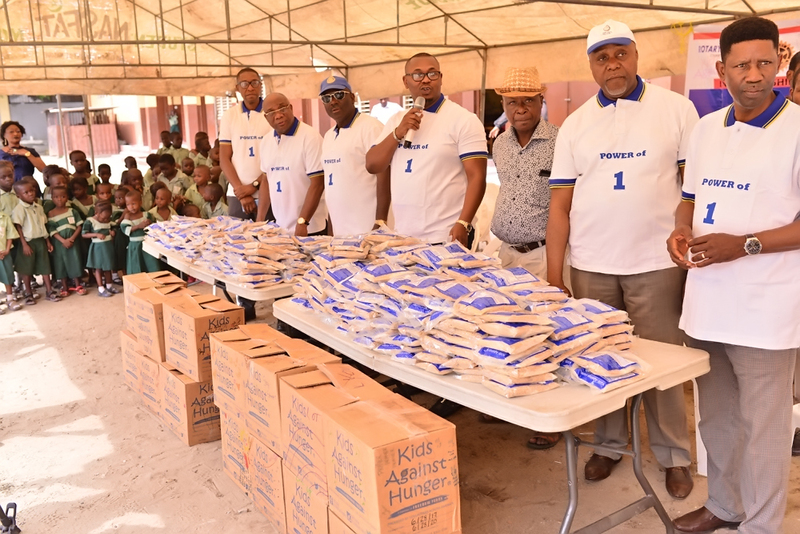 The Rotary club of Victoria Island, East in partnership with Pat Royal Foundation on Thursday 1st March, 2018 launched a Rotary International initiative tagged “Kids against Hunger” at the Victoria Island Primary School. 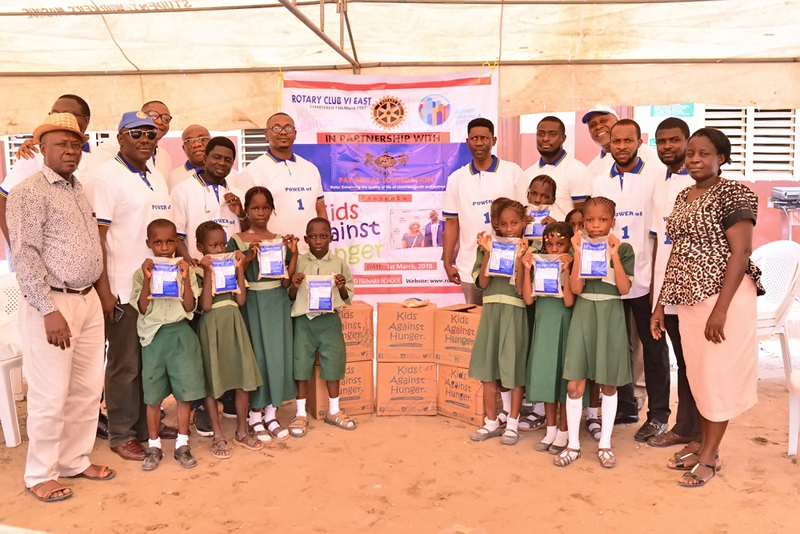 The Rotary International initiative is meant to help out with kids especially in IDP’s camps and displaced environments. 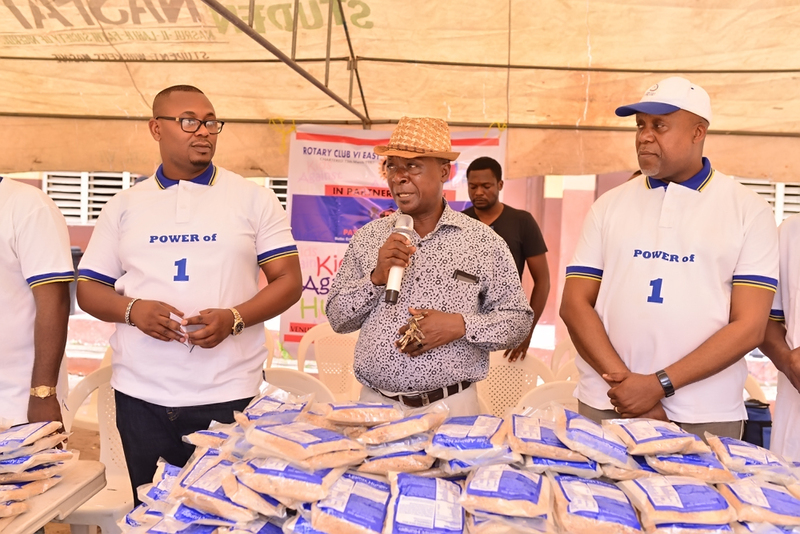 Speaking at the event, the President of Rotary Club VI East, Rotarian Tayo Adebiyi said the programme is part of the club’s mission to give back to the community by feeding children of the under privileged. 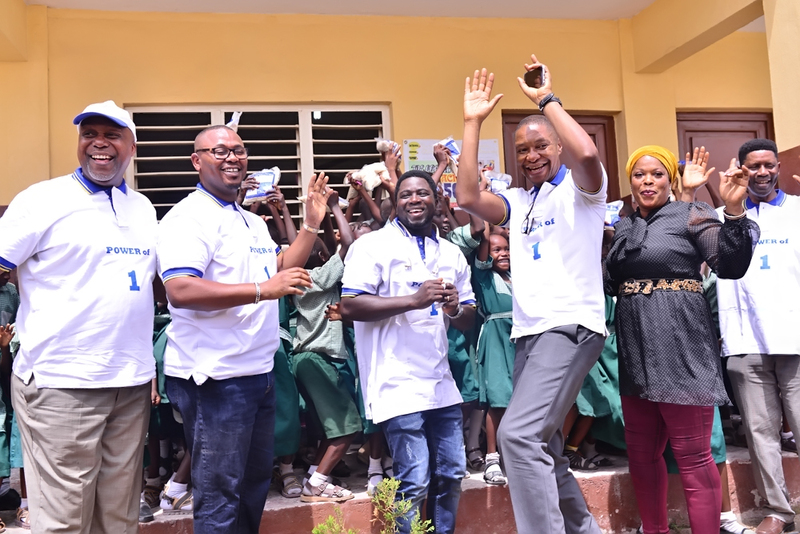 He explained that the programme which aims to provide school meal would continue as they would be moving to other schools in the area in the coming weeks. He said, “We fed over 472 children today and we are going to continue to doing that. He thanked the school for having them today and stated they were more events and outreach they are working on. 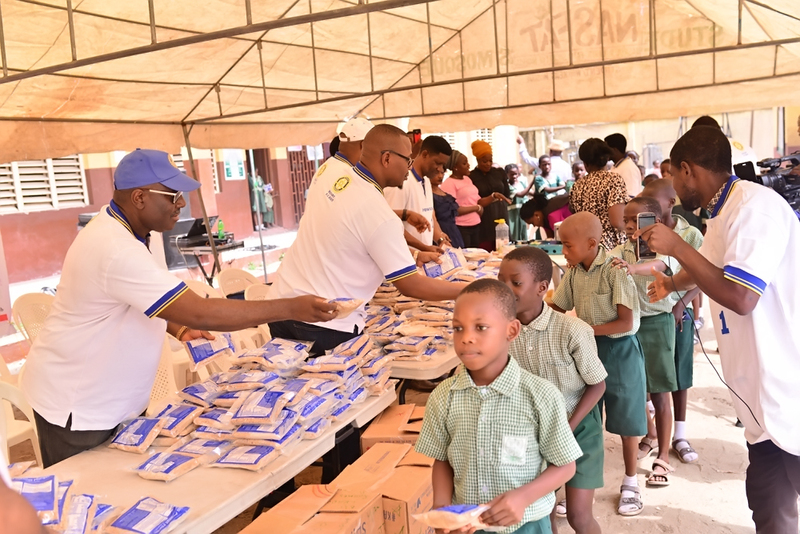 The Vice President of the Club, Rotarian Chike Madueke said this was the first phase and they were moving on to the second phase, as it was their own contribution in assisting the society. 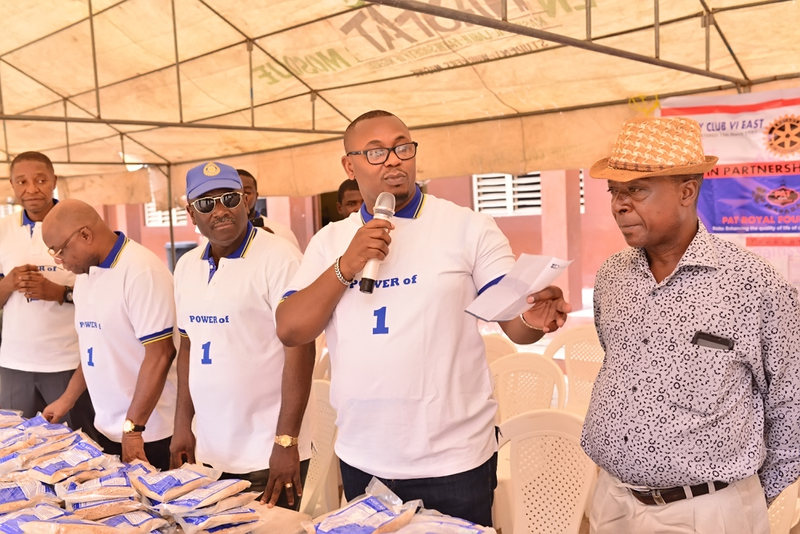 The school’s head teacher Mr. Oture Donatus thanking the club for the initiative called on the club to offer more assistance to the school.